International Women’s Day is a time to celebrate the achievements of women who have left behind a legacy. Over the centuries women have tirelessly challenged political, cultural and social ‘norms’ to bring about equality to future generations. At the School of Stitched Textiles we thank all of the amazing and brave women who have fought for the things they believed in most, and today we honour the women in textiles that have contributed so much to crafts, needlework and textiles art. International Women’s Day was established in 1914. It was designed as a specific day in which we could recognise and celebrate the plight of women, their achievements, successes and triumphs. It is also a time to remember the cultures and societies in which women struggle for independence and equality. International women’s Day therefore exists to raise awareness to the gender inequalities that still exist around the world and campaigns for a fairer global society. In 2018, International Women’s Day marked the centenary anniversary of the women’s suffrage. 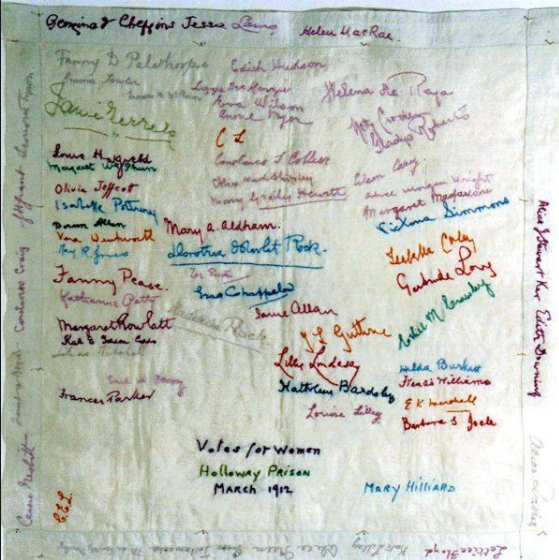 After decades of campaigning the Representation of the People Act was passed on the 6th February which granted women over the age of 30 the right to vote. It would be another ten years before all women over the age of 21 were given the same privileged. For International women’s Day we’re going to be taking a look at some of the women in textiles. Not only have these women achieved a great deal, they broke boundaries, went against ‘convention’ and contributed to the craft movement that we all now belong. This is our women in textiles honours list, made up of groups and amazing individuals. In March 1912 the demonstrations held by the Women’s Social and Political Union (WSPU) became more organised and less peaceful. Armed with stones and hammers the group began smashing the windows of offices and shops and their actions resulted in more than 200 women being arrested. Following the demonstrations the leaders of the WSPU, Emmeline Pankhurst & Mr. & Mrs. Pethick-Lawrence were also arrested & sentenced to nine months in prison. 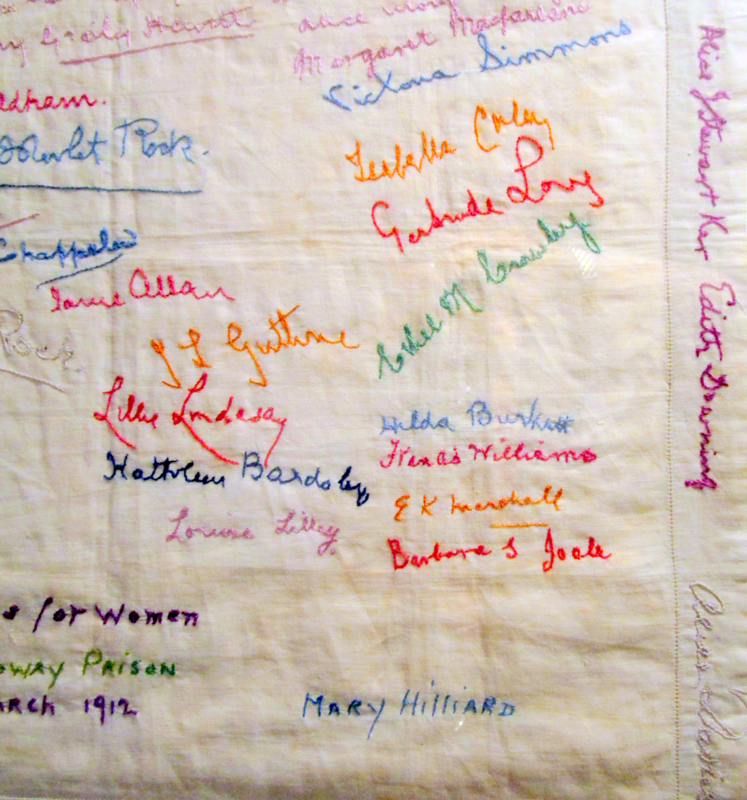 During this period of incarceration many of the prisoners used embroidery to document the names of those on hunger strike. Not only do these pieces serve as a great reminder of the women who battled so hard for equality but the choice of medium along with its irony still remains the focus of many discussions. Embroidery at the time was very much synonymous with the domestic setting and the women’s role. Perhaps the women were making a political statement through the medium they knew best. Embroidery by Janie Terrero made in Holloway Prison:1912. Handkerchief can be viewed at the he Priest House Museum, West Hoathly, Sussex. Gees Bend is a small, remote, black community in Alabama made up of around 700 inhabitants, most of which are descendants of slaves. 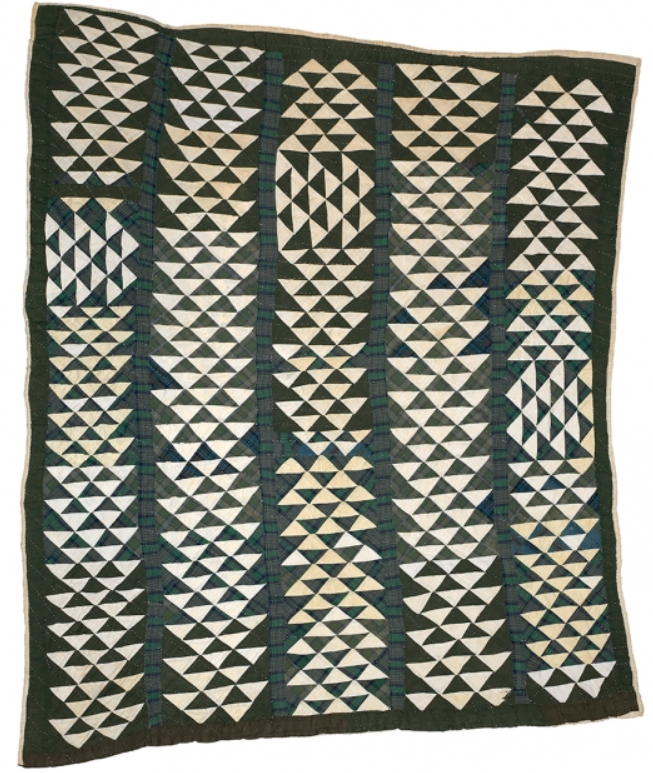 The women have made 100s of quilted blankets some of which date back to the early 20th Century. These creations often go beyond the expressive boundaries of the quilt genre and therefore constitute a crucial chapter in history of African American Art. Souls Grown Deep describes the Gee Bend Women as being in a league of their own due in part to their expressive artistic achievements despite their oppression from isolation. 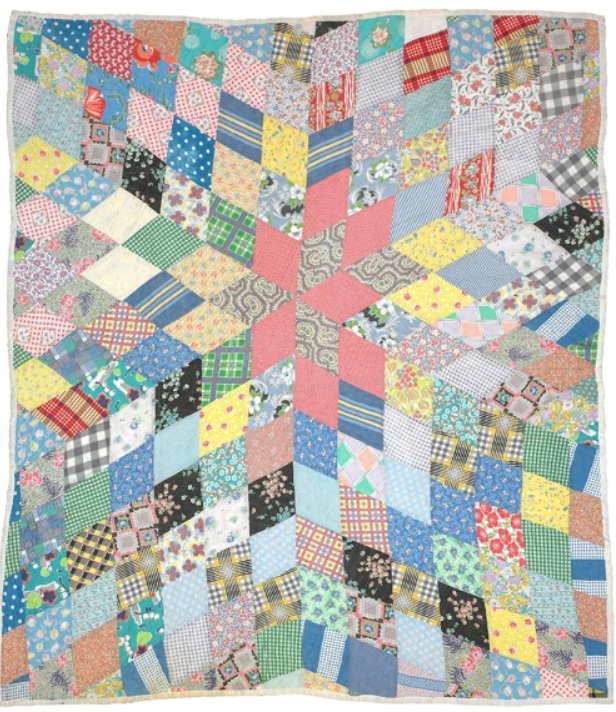 Their quilts tell stories expressed through unique artistic voices. Some of the work can now be viewed at the Philadelphia Museum of Art. 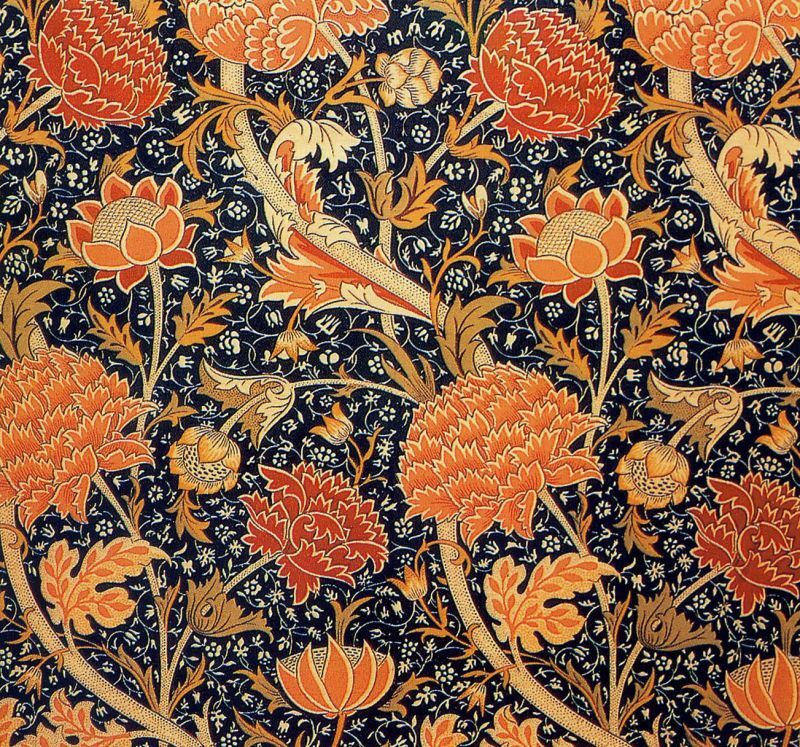 Daughter to artist William Morris, May Morris’ name is probably more famous that her achievements. However, over the last few years May’s work has finally started to get the focus and attention that it deserves. May was taught embroidery by her mother and aunt who later encouraged her to develop her own designs. 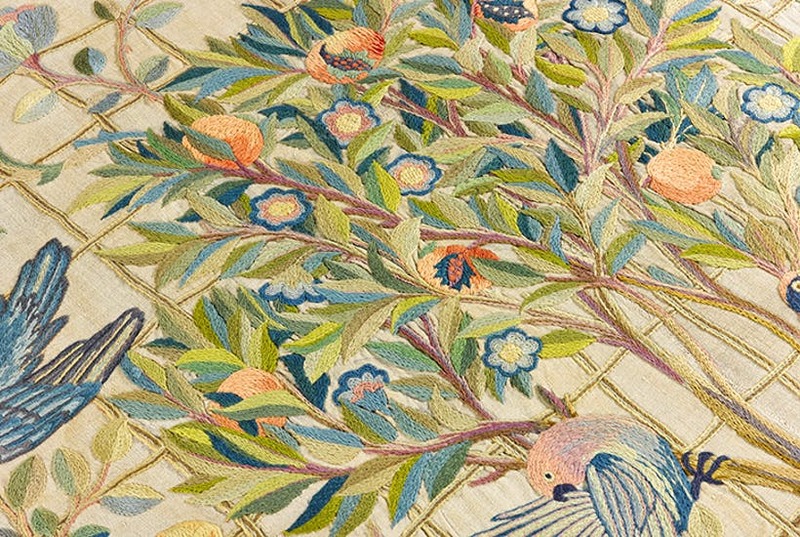 At just 23 years of age May headed up the embroidery section at Morris & Co in 1885 and was responsible for all new designs and larger commissions. 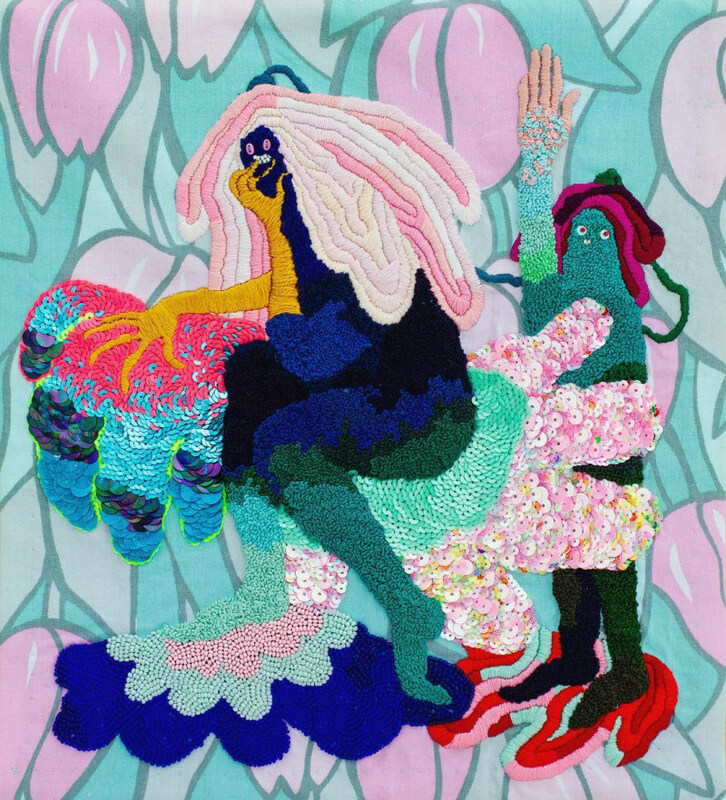 She injected her own style into all of the pieces produced taking embroidery out of its domestic setting and firmly placing it into the world of Embroidery Textiles Art. May left the firm when her father passed away but remained an advisor. She became a passionate and vocal advocate of craft, particularly embroidery and went on to author articles and a book and also taught at the Central School of Arts and Crafts, embarking on a lecture tour of America, and co-founding the Women’s Guild of Arts. We thank May for her contribution to the arts and crafts movement. You can read more about May Morris here. 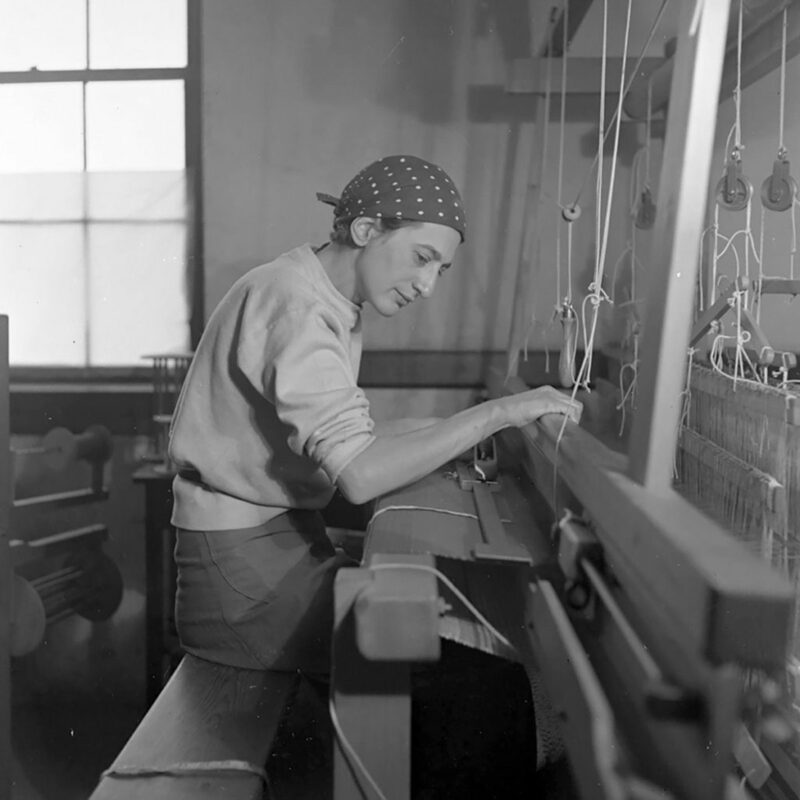 Like many other women in the early 20th Century Anni Albers was barred from painting at Bauhaus School. 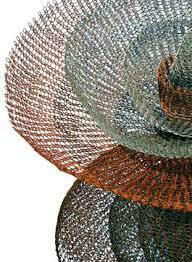 Instead she was forced to the loom and made textiles her means of expression. 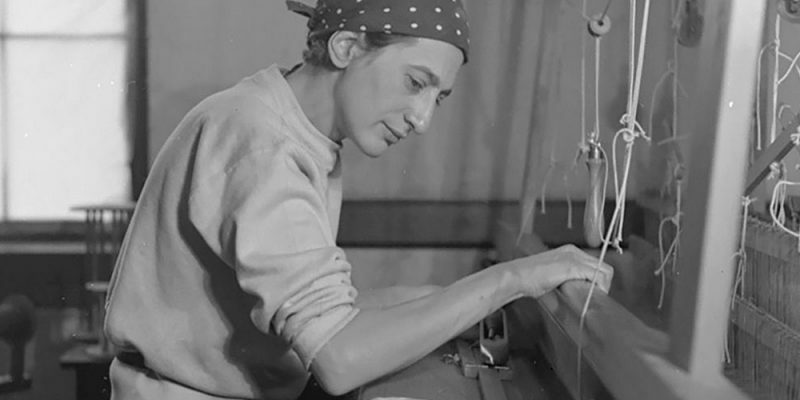 In the Weaving Workshop at Bauhaus Anni quickly embraced the technical and aesthetic challenges of weaving, and went on to revolutionise the craft with her experimental and modern designs. As well as gaining success through exhibiting her own work she had an astute understanding of commercial value and ensured that her design could easily be mass-produced on an industrial level. Needless to say we are grateful of Anni’s initial fate. She went on to introduce weaving – and textiles in general – into the closed-door realm of early 20th-century, Western fine art which was mainly limited to painting and sculpture made by men. This year you’ll have the chance to view some of her work. 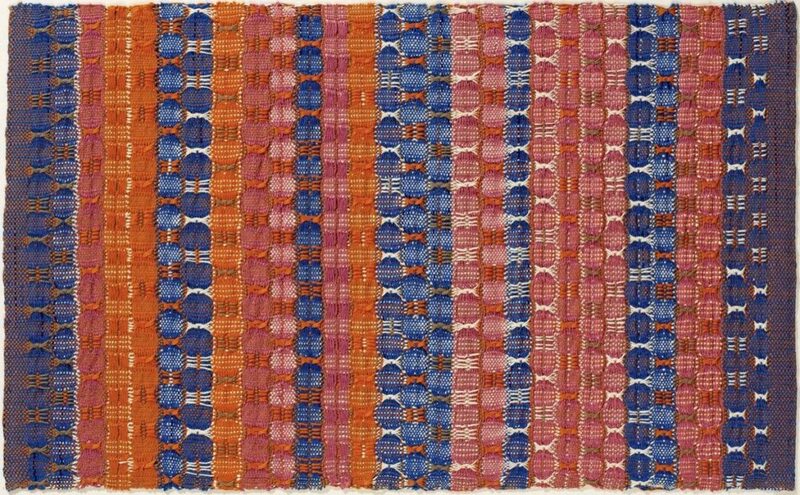 The Tate Modern will be presenting the Anni Albers exhibition from 11 October 2018 – 27 January 2019. 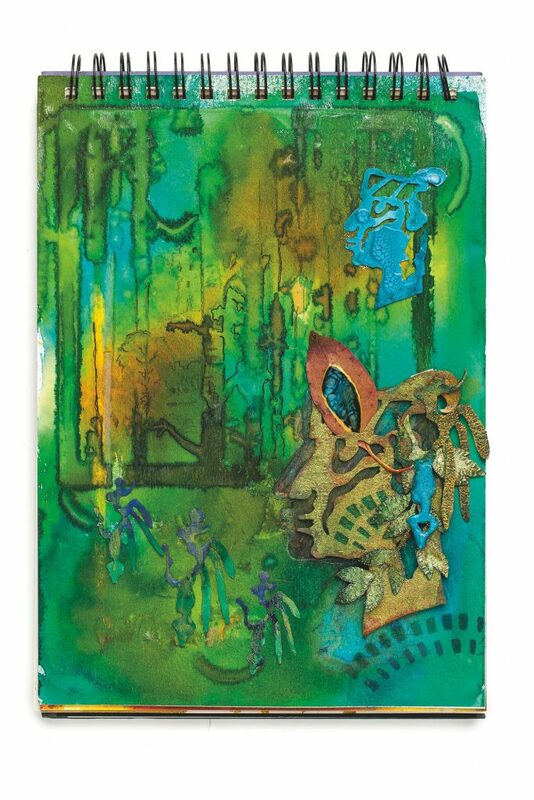 Asawa is one of our more contemporary artist. As an Japanese American living in America during the outbreak of World War II, Asawa was placed in internment for 18 months. This was a national scheme designed to protect Americans from the threat of inside attacks from Japanese nationals. Despite her early experiences and the continued hostility she received for being Japanese, Aswara enrolled at the Black Mountain College, North Carolina in 1946. It was here that she embraced the more liberal artistic community and gained inspiration from sculpture and architecture. She developed an innovative way of building sculptures that are crocheted from one continuous piece of thin wire and the results are amazing. She continued to exhibit and compete for commissions to make money. Later she dedicated herself to art and learning activism. She was instrumental in founding the public arts high school in San Francisco in 1982. 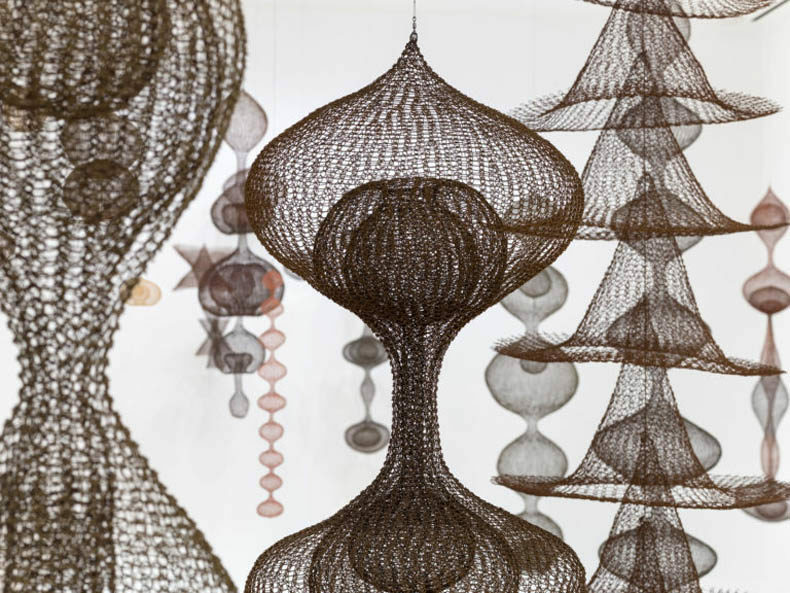 In 2010, the school was named the Ruth Asawa San Francisco School of the Arts in her honour. Today there are a number of contemporary artists that are redefining their craft. Artists like Michelle Kindom and Ninni Luhtasaari who take a dreamy, surrealist approach to their work is precisely what makes them so distinguishable as artists. Their creations allow you to visit their uniquely created worlds that truly inspire. 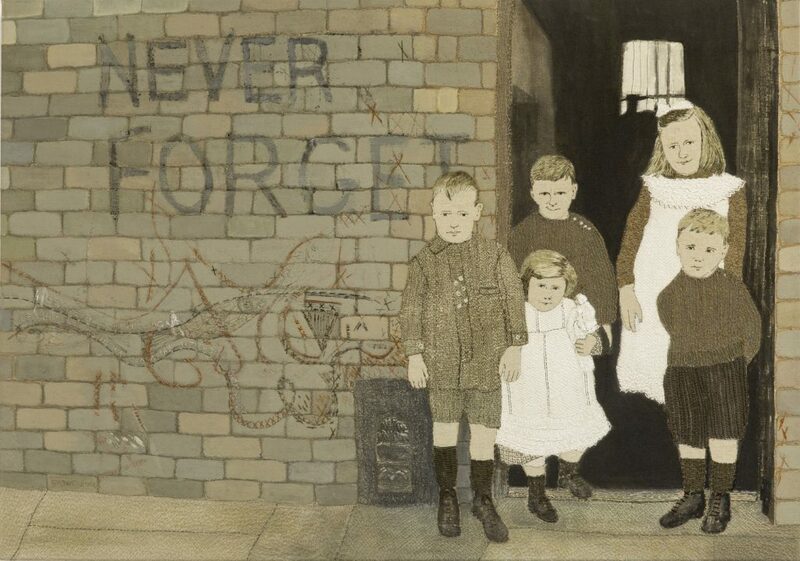 And let’s not forget the perhaps, better-known artists like Sue Stone whose distinctive style has become synonymous with her portrait and figurative compositions that are so often highly detailed, textural, personal and emotive. 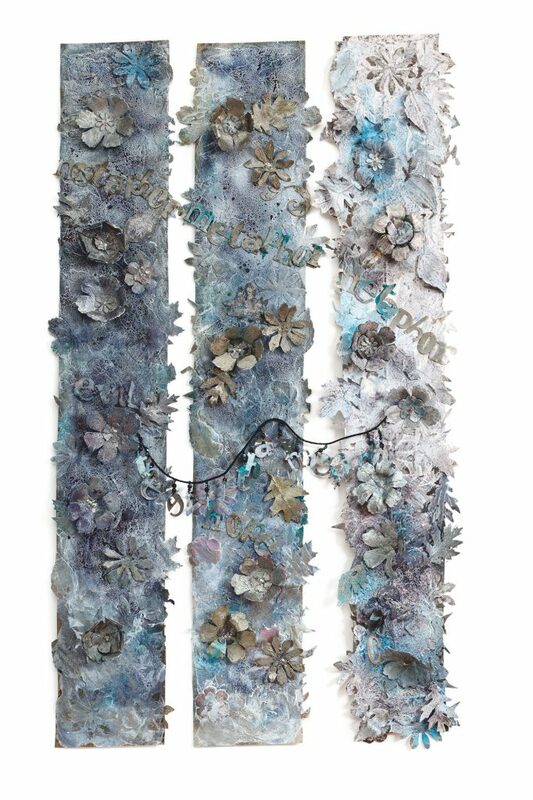 As an exhibiting member of the 62 Group of Textile Artists (Chair 2013 to 2018), a Fellow of the Society of Designer Craftsmen and a member of SEW, she really is a popular and highly influential artist of our time. 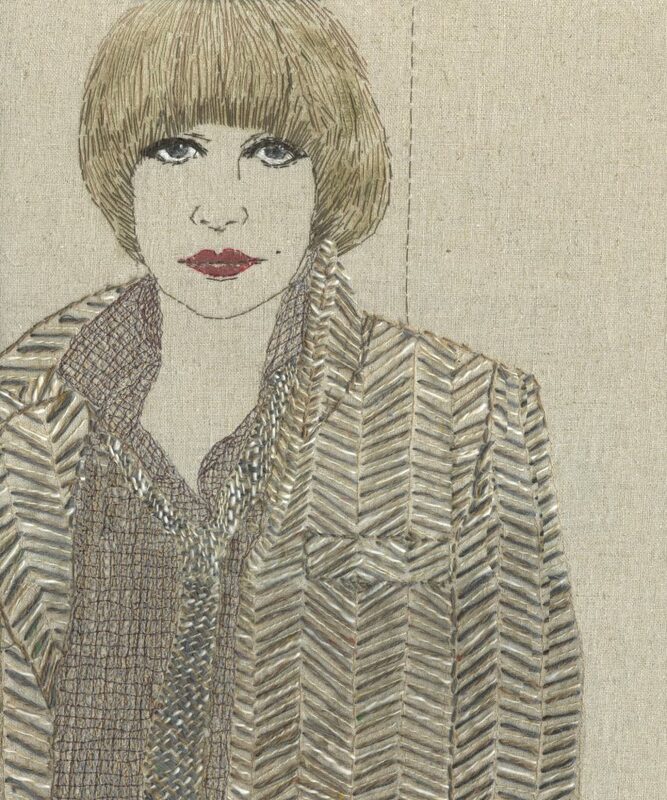 Maggie Grey is often referred to as an ‘innovator of embroidery techniques.’ One of her distinguishing traits is her ability to embrace technology. As she continues to explore, reinvent and experiment with computer aided designs, materials, compositions and techniques, Maggie continually reaffirms her place in the textiles world as an influential pioneer of modern textiles. Throughout history women have been appointed domestic roles and textiles, dressmaking, knitting, embroidery have long been associated with women’s work. For a long time it was the men that were called artists while the women were regarded as crafters. Because of the women above women in our society are freed from domestic chores to embrace crafts and textile art as activities of pleasure and as this crafting revolution continues to gain popularity and momentum we aim to empower women through our courses. As detailed and comprehensive learning programmes we hope to give more women (and men) the confidence to embrace textiles as an art or a craft that can be turned into a profitable business. Very inspiring! Thank you for a great read.